Now in its seventh year, the Google Summer of Code (GSOC) program introduces students from colleges and universities around the world to open source software development. There have been a total of 4,500 students from more than 85 countries that have completed the GSOC program. In a blog post, Google's open source team member Stephanie Taylor writes, "We are excited to announce that we will extend the scope of the program this year by targeting a 25% increase in accepted student applications as well as accepting a larger number of mentoring organizations. Our goal is to help these students pursue academic challenges over the summer break while they create and release open source code for the benefit of all." Taylor says that even if you aren't a student or mentoring organization, you can still help. "Spread the word to your friends! 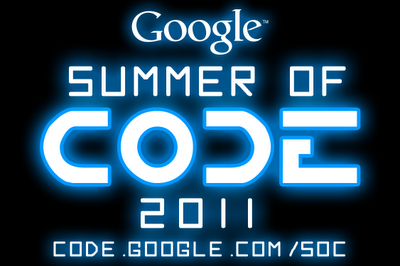 If you know of a university student that would be interested in working on open source projects this summer, or if you know of an organization that might want to mentor students to work on their open source projects,please direct them to our Google Summer of Code 2011 website," she says.